To view the unique features of our air valves, click the dots. 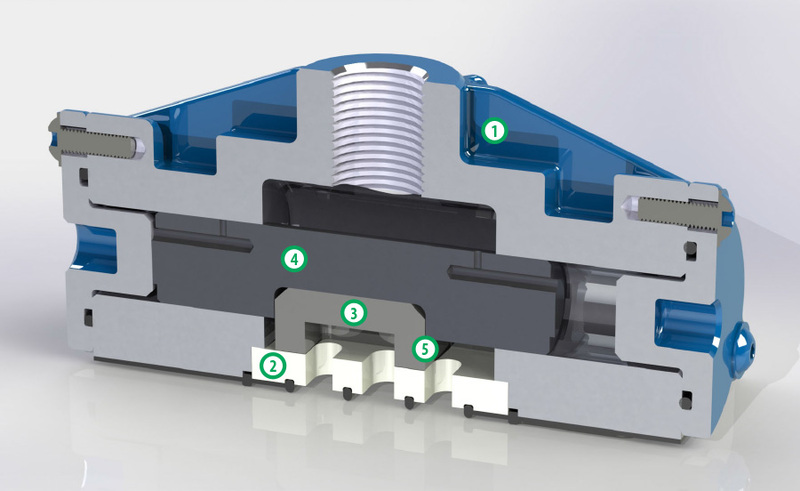 5 - Low friction carbon filled PTFE slide valve on the polished alumina ceramic valve plate allows for longest life and superior sealing eliminating air leakage. 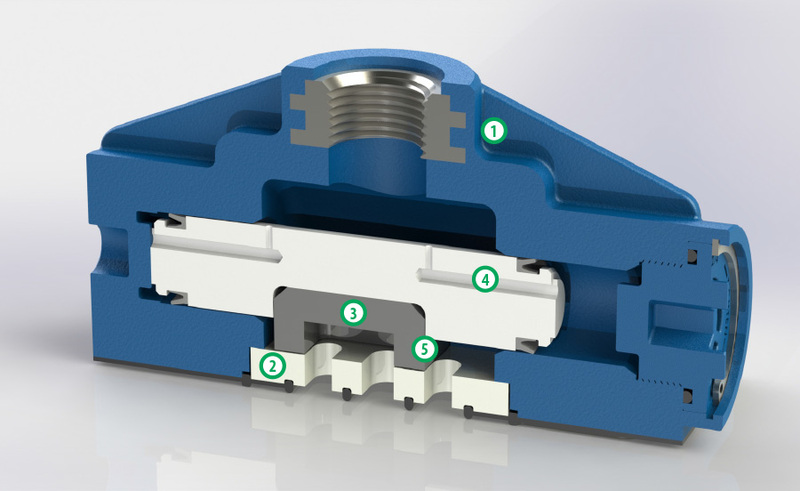 It also eliminates high cost seals moving over holes, as needed on many competitors’ valves.